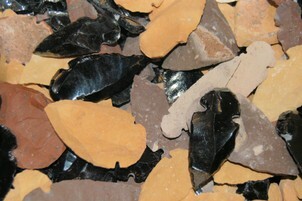 Interested in stone tools? Want to know more? Then join us this winter on the Umpqua National Forest for a workshop wherein we will be analyzing artifacts from a local archaeological site. Analyses will focus on stone artifacts such as lithic debitage (flaked stone), cobble tools, and other, more formal stone tools. While the project is geared towards those who have no experience with archaeological analysis and tool typology, we encourage everyone from the neophyte to those who "speak stone" to apply. See you in February!